History, culture and behaviour - all you need to make nockers come to life. 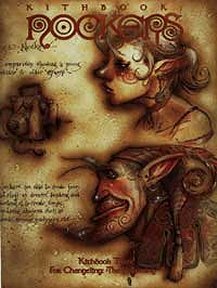 Publisher's blurb: "Although nocker creations are highly prized among the kingdoms of the Kithain, most changelings bear little love for these dour and foul-mouthed tinkers. So brusque is nocker personality that few take the time to get to know them. Yet, those who are willing to do so discover that underneath all the hurumphing is a soul as passionate as a satyr's and a heart as stout as a troll's."